HomeHow to be Open Minded ? I need not restate the importance of being open minded, but to rephrase – It is the ability or skill or trait ( whatever you choose to call it ) to receive incoming knowledge and /or experiences and to imbibe and also utilize them in such a way that they may replace past knowledge or experience in the best interests of us. Open mindedness is not just crucial to professional growth but it is also vital to both spiritual and personal growth. It is the courage needed to discard old beliefs, dangerous half knowledge, biased feelings and highly poisonous prejudices. The key to open mindedness is you have to acknowledge the fact that there may be a possibility that your idea/opinion/thinking may be wrong and believe that there may be other better ideas/opinions/thoughts. Obviously every person can’t know everything and every person cannot be accurate and be taking the best decisions all the time. True achievement lies in leveraging your skills by constructive exchange of knowledge ( I meant exchange I.e both incoming and outgoing) with countless people. I need not go more on the definitive side of open mindedness as many wise people have defined it and also stated its awesome advantages. I am going to share with you the techniques that I invented for unlocking open mindedness, I call them half snake and full snake concept and I will share them with you. Half Snake concept : I want to anologise this with the half knowledge( it is not exactly half, it may even be 10 % or 99 %) that we have with us, many a time people come to conclusions based on the half knowledge present rather than understanding the broader picture, in simple terms it is like a half snake present in your head, careening on a tree here and there(imagine the picture mentally in your mind now) and not allowing new knowledge or opinions to enter into your brain – why? because this is a highly poisonous snake and new knowledge is as pure and fresh as a jasmine flower and it doesn’t like to get poisoned off with that deadly half snake. 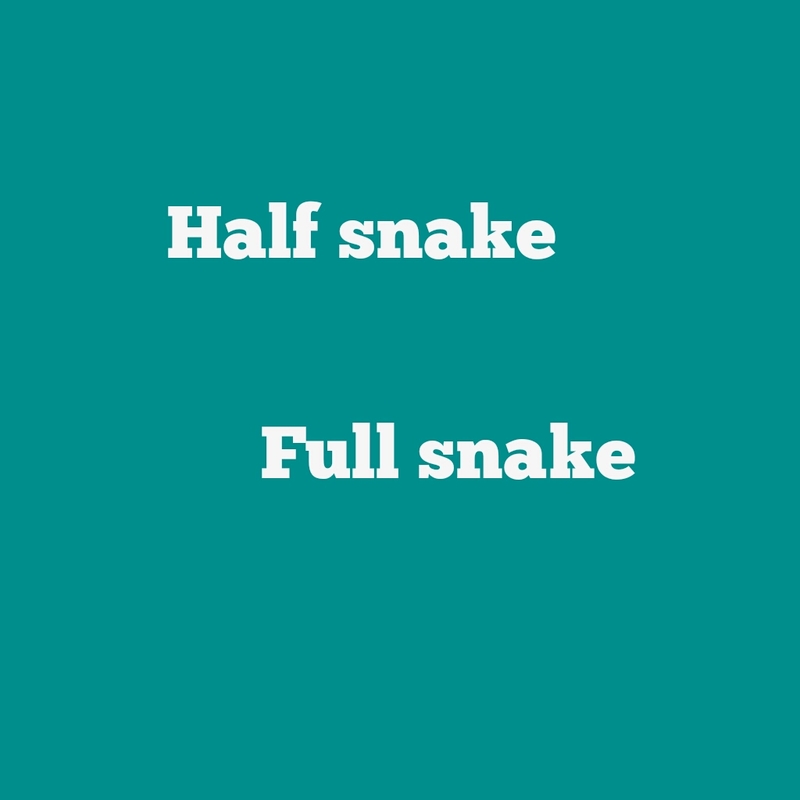 Full Snake concept : This is the most dangerous situation, as the name suggests, the snake is full grown and completely occupied the brain’s thought process. This snake not just blocks the beautiful jasmines but it doesn’t even allow other half snakes. The greatest pity with full snake concept is that people don’t realize that their minds are completely filled with wrong and misleading information and thoughts, they just simply think they are always correct and always great and they have a terrible false illusion that their database needs no new data!! Solution : When there is poison there is also an antidote or a medicine to eliminate or at-least control the effect of poison, as I already said it is about identifying that your opinion is wrong, here it is to identify the snake first and next identify that it is poisonous, then we can get the correct antidote so that we can design a wonderful garden minus snakes for the jasmines. Finally, I am not saying you should always welcome others’ ideas, it is about judgement, you should be able to judge which opinion is correct and which one is not. Associate an opinion with the level that touches your wisdom not on the level of the person associated with that opinion. I mean all bill gates’ opinions may not be in the best interest of you but sometimes your high school teacher can give a better opinion and for that judgement to be done you have to be open minded ! !